Home / Resources / Crisis preparation: what needs to be in your Red Book? Crisis preparation: what needs to be in your Red Book? What’s the organisation’s policy surrounding a crisis? This will include areas such as: how a crisis is declared and by whom; how to internally cascade announcements; roles and responsibilities of the crisis communications team; the organisation’s rules and procedures for handling communications with the media; set of standard procedures to follow in a crisis; and guidelines on how facts are gathered during a crisis. This is an up-to-date compendium of the names, addresses, emails and telephone numbers of the management and crisis communications teams, key stakeholders, officials and media. It also lists the most important websites, social media channels and blogs to monitor. There will be no time in a crisis to gather all of this information. 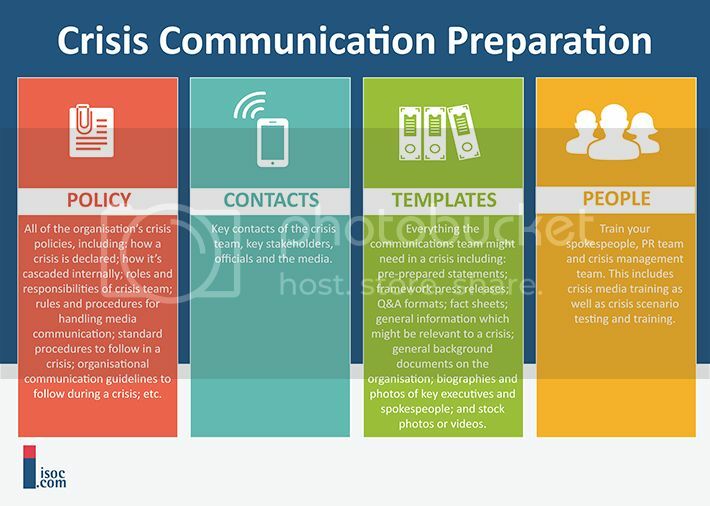 This section contains all the materials that you may need to give the media what they will need in a crisis, made ready as far as possible so that you don’t have to start from square one in the haste and chaos of a crisis situation. For example, this would include: pre-prepared statements; framework press releases; Q&A formats; fact sheets; general information relevant in a crisis; organisational background information; biographies of senior spokespeople; photos; videos; etc. When a crisis strikes an unprepared organisation, its external communication response is often defensive: they say nothing. This gives a terrible impression to the media, and causes speculation. This can create an unwinnable situation, even when the company is innocent. The senior manager and deputy, plus anyone else who may have contact with the media in a crisis, should undergo crisis media training, with a refresher session every six months. The media training should simulate a typical crisis scenario that the organisation might face. The whole crisis communications team should rehearse at least once a year. This should take the form of a simulated surprise crisis, and everyone going to their action stations ready to play their role as laid down in The Red Book. Front-line staff like receptionists and switchboard operators should also be involved.